Label printing can be configured using the steps outlined below. 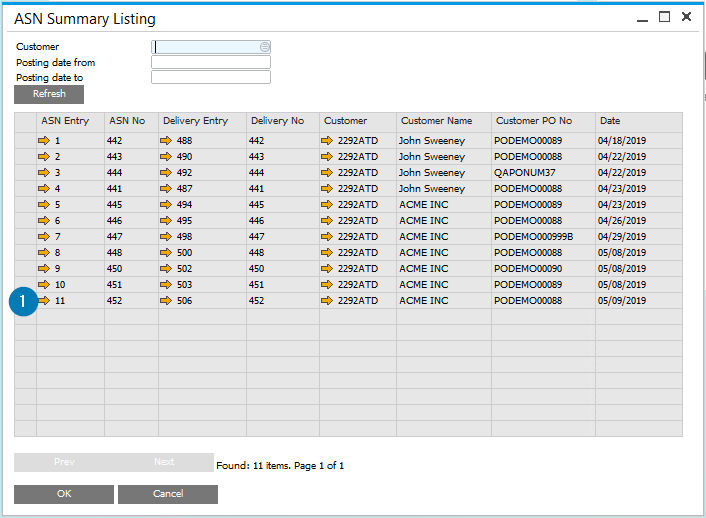 To print shipping labels, select ASN Listing, then press the golden arrow on the ASN Entry to open the ASN details. Press the Golden Arrow for the ASN Entry (1) to open ASN details. This will open the ASN Wizard, shown below. Press the Label Status button (1) to open the Label Print Window. 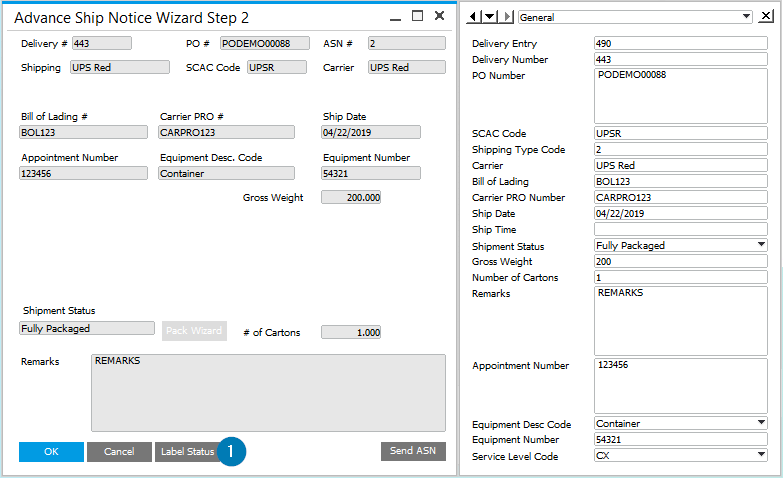 From the ASN Wizard, press the Label Status button to open the Label Print window. 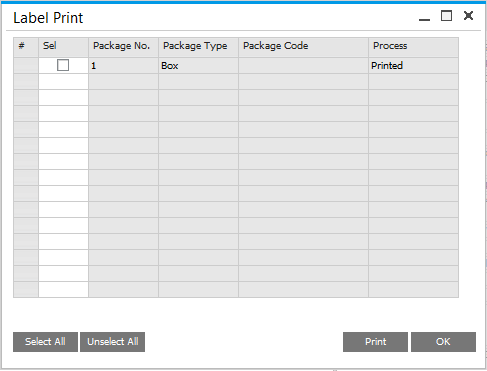 Select the desired labels to print, then press the Print button. Select the label(s) to be printed then press the Print button. Note: Pop-up images can be displayed for the selected label as defined in [Integration Configuration Printer settings](config_printer.html).